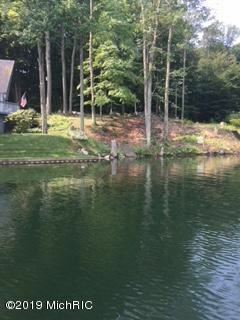 2 vacant lot on Beautiful Crystal Lake plus an additional 2 acre wooded parcel behind which would make a great place for a storage garage, additional parking or more privacy. Build your dream cottage or home here on this all sports lake. Great fishing, boating and swimming, beautiful views, too. One of the very few vacant lake front lots available on the Crystal Lake. Polk Road east of US-31 x-way to 72nd Avenue, south to property on W. Orchard Drive just south of Scout Road, then west on Orchard to property. Or Shelby Road east of x-way to 72nd north to Orchard. $906 would be your approximate monthly principal and interest payment.